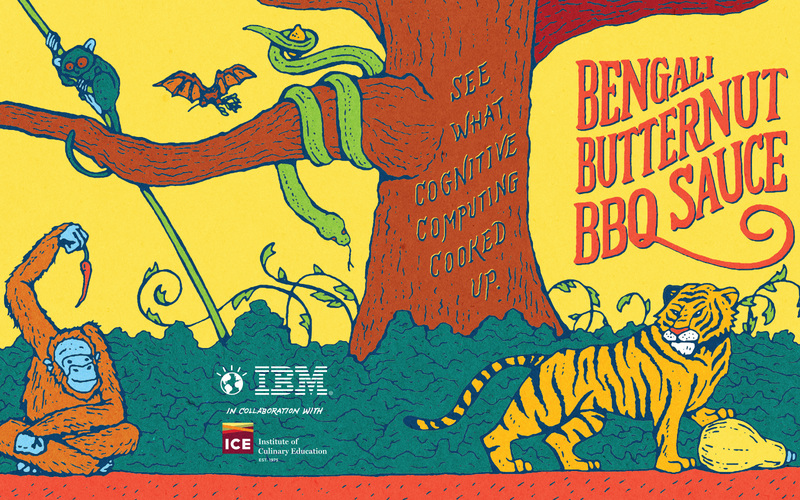 Branding, illustration and package design for IBM’s new “Cognitive Cooking” system. 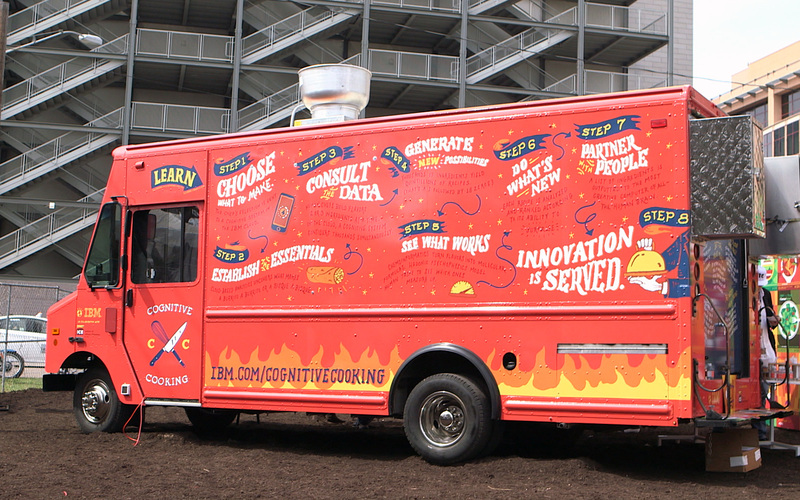 Going mobile with a food truck, the system also created a specialty BBQ sauce used in promotion. 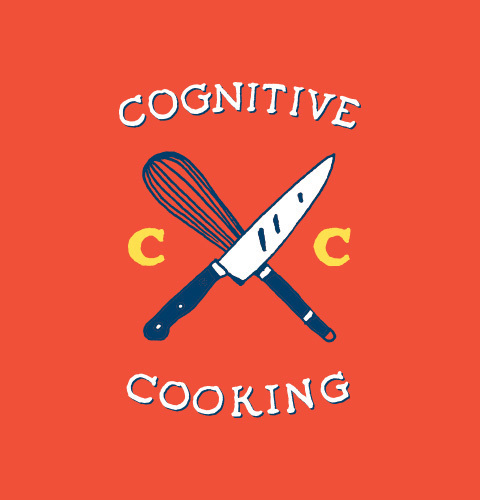 Branding, illustration, and package design for IBM’s new “Cognitive Cooking” system. 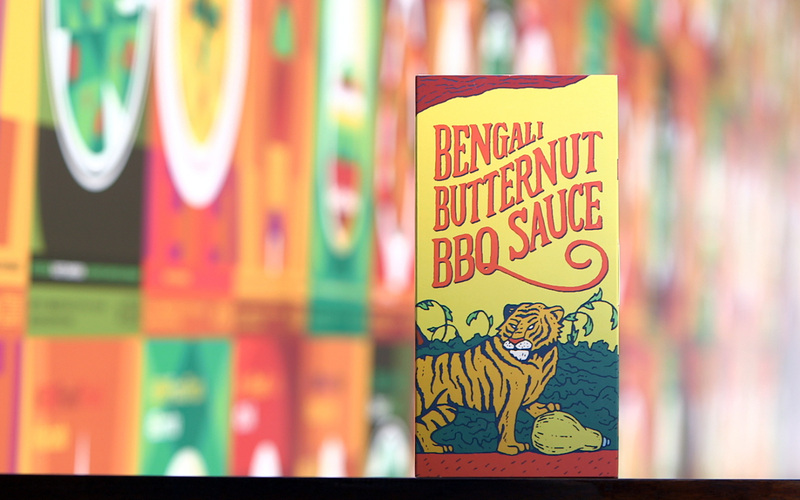 Going mobile with a food truck, the system also created a specialty BBQ sauce used in promotion. 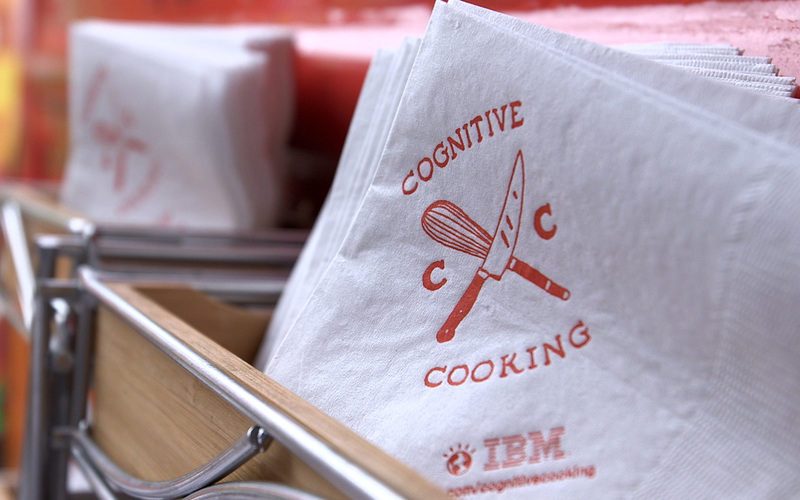 The concept behind the brand of IBM’s “Cognitive Cooking” is to make sure it is clearly human-driven. 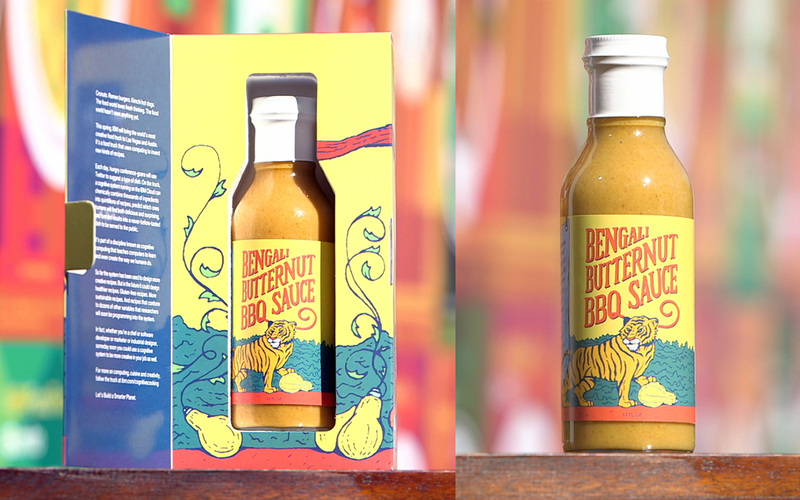 This is not a mechanized replacement for creativity; it’s a tool to help explore limitless possibilities. This is not a mechanized replacement for creativity, it’s a tool to help explore limitless possibilities. 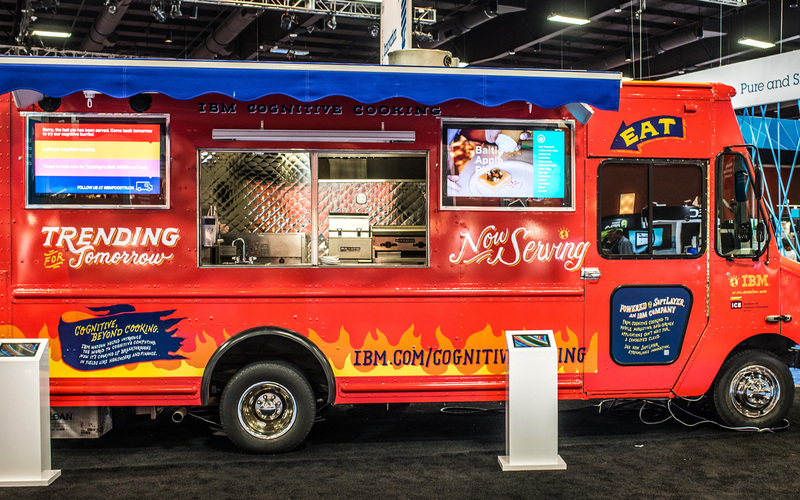 Utilizing Watson and the IBM Cloud, the Cognitive Cooking system pulled suggestions from Twitter during conferences in Las Vegas and SXSW to chemically combine thousands of ingredients into quintillions of recipes, and then systematically predicted which ones humans would find the most delicious. 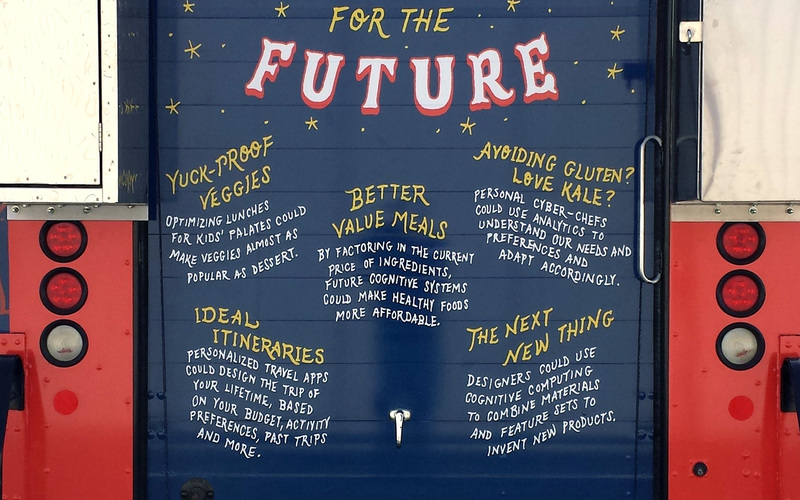 The power behind this technique can help chefs around the world create healthier and more sustainable recipes.